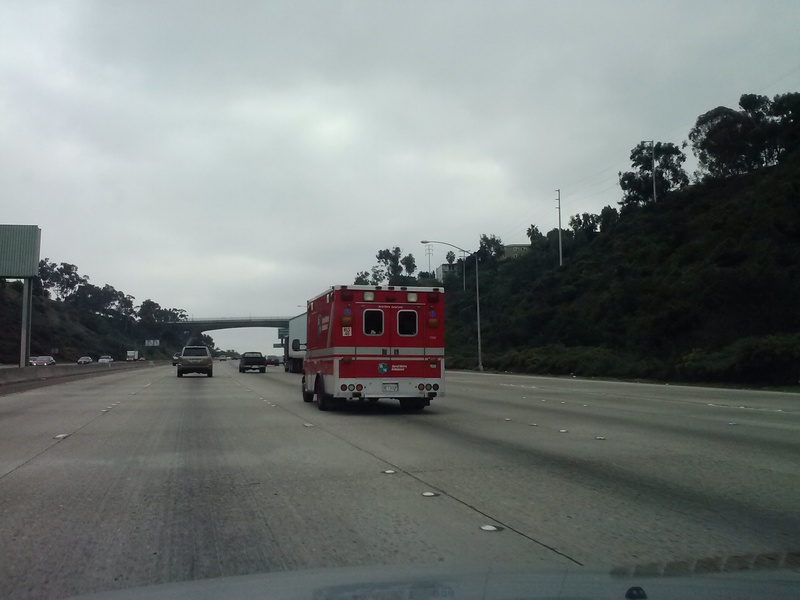 Passed by red ambulance on freeway 2/05/13 at 1:45 pm. 1:52 pm- Passed by white Fire Dept. SUV on freeway. 3:00 pm- Attended City Council meeting in another city, Police officer present. Officer repeatedly paced back and forth behind me, sat behind me several times, and stood to the right of my seat multiple times. 4:10 pm- Passed by red ambulance w/ lights and sirens on. 4:24 pm- Passed by Police Dept. patrol car on freeway. 4:25 pm- Passed by red medic van on freeway. 4:32 pm- Passed by police dept. patrol car, sped past me on freeway, turned lights on while passing me. 6:57 pm Passed by ambulance w/ lights/sirens on. I get lots and lots of sirens by the house constantly. Where they go is a mystery. Used to be that I squad car would show up right as I left the house and right before I came “home”. I also get lots of po helis here and for awhile a lot of black helis were showing up even following me on my walks. One hovered over me at a bus stop, did a turn in mid air and left. I also used to get almost constant small planes circling over my head years ago. All that jet fuel….I changed my theme because I saw it was your theme and your blog is older. Come and visit sometimes.